Ten years ago, we were a $20,000,000 catalog brand. In the following five years, we built out our multi-channel strategy, capitalizing on our strong online brand, our search capabilities, e-mail marketing, and other online activities. By 2007, we were at $24,000,000, with 35% of our business online. When the economy crashed, we made tough decisions. We moved all of our catalog customer acquisition to just one popular co-op. At the same time, we temporarily cut back on prospecting and customer reactivation. Even though the economy marginally recovered, our business did not recover. Today, we are a $21,000,000 business, and our expense structure continues to increase at an inflationary rate, or greater, putting tremendous pressure on our profit and loss statement. We learned something unsettling when analyzing our customer base. Since 2006, the average age of our customer increased, from 55 years old to 59 years old. Worse, we cannot grow our online market share, with only 45% of our sales captured online. We tried social media, it did not work, our Twitter presence only has 939 followers, and they only buy when we offer merchandise at 40% off or more. We have a mobile app, but only a few hundred customers have ever purchased using it, and again, we have to offer 40% off to get those customers to order. We even printed QR codes in magazine ads, but to-date, we've only had 880 website visits and 31 orders, all coming with free shipping. Can you tell us why our business is floundering? How do we use the catalog to grow? We spent the past decade pursuing a "multi-channel" agenda. Unfortunately, the hypothesis that being "multi-channel" would lead to unfettered profits never materialized. The "multi-channel" agenda pushed us in a different direction. We decided that the catalog was the cause for online orders. We decided that we preferred co-ops over list organizations. Co-ops "optimized" customer lists via algorithms. It turned out that the customers in those optimized lists were largely 55+, rural shoppers. One can argue for hours about the "chicken and egg" proposition surrounding 55+, rural shoppers (did the co-ops cause the problem, or are catalogs so old-school that only 55+, rural shoppers buy from them?). 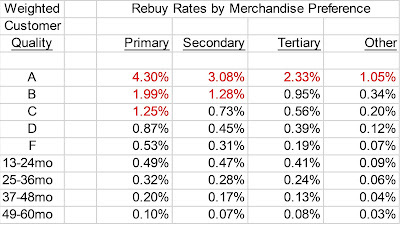 Most of us work for businesses with annual repurchase rates under 40%. When you fall into this category, there's a whole bunch of problems that happen when catalog customer acquisition is outsourced exclusively to the co-ops. Over the course of just three years, 75% of your twelve-month file will be populated by customers acquired for you by the co-ops. And those customers are largely 55+, rural customers. Ultimately, the co-ops "are" your business, they determine your customer base for you. That can be good, that can be not-so-good. So, our "multi-channel" agenda really morphed into a co-op infused customer acquisition strategy, one that pushed us toward algorithmically optimized names that are in the top-half of the Baby Boomer generation. Without any intention of doing so, we chopped off the bottom half of the customer file, where a fertile generation of 25-44 year olds reside. Do this for a half-decade or more, and you have the problem outlined in the e-mail message from Dirk Middleton. That's what we've done to ourselves. Now we have to chart a course to the future. This is like playing poker. We have outs. We can decide that we're going to own the Baby Boomer generation, riding it from recession to retirement. Somebody should decide that this is their strategy. I don't hear many folks talking about this as being a viable strategy. I think it is a viable strategy, if you put your chips all-in. Or we can decide that we're going to "get younger". This is easier said than done, because the 25-44 audience doesn't respond well to catalogs (there are exceptions) ... if it did respond well to catalogs, your co-op would be feeding you a veritable plethora of 25-44 year old prospects. If you're going to go this route, you have at least two choices. You transform your brand to appeal to a younger audience (hard to do). You create a new brand that appeals to a younger audience, and you funnel the profits from a declining catalog business to the start up (risky, low probability of success). Here's what is obvious ... we can't keep doing what we've been doing, because that's not working too well. In poker, when you are short-stacked, pressure is constantly applied by the blinds ... eventually, you have no chips left. 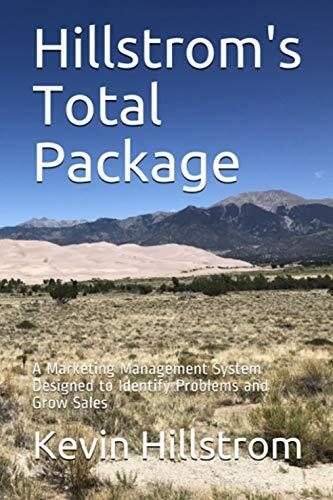 In catalog marketing, pressure is constantly applied by inevitable postage increases (think +5% to +10% each of the next 2-3 years coupled with 3-5 day delivery), inflationary cost increases, and an aging customer base. Either we go all-in, and attempt to dominate an aging Baby Boomer audience, or we fold our hand and begin anew with a new brand targeted to a new audience. When you want to begin the process of charting a path to the future, contact me (click here), and I'll profitably save you a boatload of ad dollars that you can pocket, or you can invest in the future. Honestly, it's time we all decided how we will deal with the future of catalog marketing.